Charles has been involved in the real estate and construction industry most of his life, starting as a delivery boy for a building supply company in high school, then as a common construction laborer at a nuclear electric-generating plant in Georgia for three summers in college. Lead counsel in development and financing for a number of luxury hotels and spas. Advising in development, construction and leasing of large office projects in Dallas. Negotiating management agreements for hospitality venues. Before joining the firm, Charles was a partner at Brown McCarroll and also practiced at Johnson & Wortley. Served as lead counsel for Woodbine Development Corp. for the development, capitalization and financing of Hyatt Regency Hill Country Resort and Spa (San Antonio), Hyatt Regency Lost Pines (Austin/Bastrop) and Westin Kierland Resort (Scottsdale/Phoenix), along with a number of other projects. 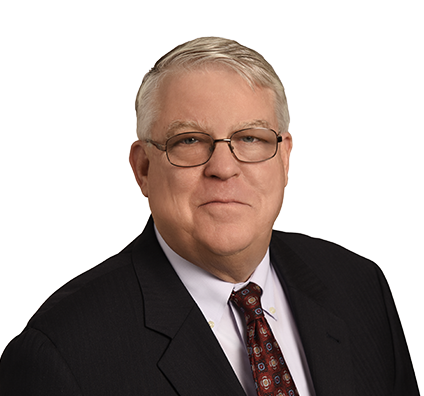 Represented JPI as lead counsel on development, construction financing and disposition of more than 20 luxury multifamily projects in Texas, Virginia, Maryland, District of Columbia, Colorado, Massachusetts and other states. Served as developer counsel for the development, construction, leasing and financing of several large office projects, including Comerica Tower, 1700 Pacific and Pacific Place in Dallas. Represented owner of a Holiday Inn in refinancing and negotiation of a new third-party management agreement. Represented owner in refinancing of an Intercontinental Hotel. Negotiated management agreements for major hospitality facilities, including hotels/resorts, restaurants, convention centers and catering venues. Represented landlords and tenants in numerous major leases, including bank headquarters facilities, grocery anchor leases, financeable ground leases, data center lease, law firm offices and large industrial spaces.